I started Mobile Home Living in September 2011. I bought the domain name and published through a free blogging platform called Blogger. And, I had no idea what I was doing. Looking back, it’s hilarious how naive and ignorant I was about both the manufactured housing industry and blogging. How this site eventually found its footing and gained popularity will always be the 8th great mystery of the world to me. Mobile Home Living was born when my husband and I bought a 1978 single wide in 2011. It needed updating so I searched online for mobile home remodeling and decorating ideas. 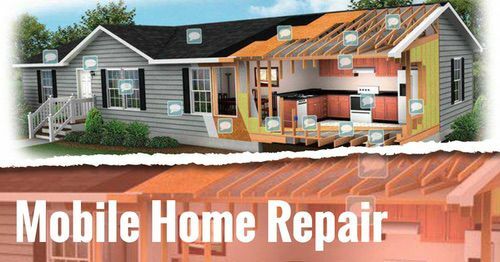 There were only a few legitimate results and the idea to create a site that offered mobile home remodeling ideas and mobile home repair help was born. You can read more about it here. I had lived in manufactured housing my entire life but always new models. I figured if I was looking for this information others were as well and I suppose I was right. How could that be? 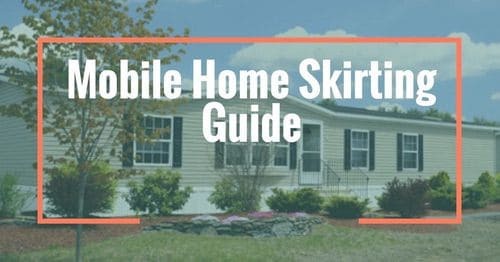 One of my missions of the blog was to get rid of the mobile home stereotype! By our fourth year, I had been contacted dozens of times about my choice of words. The complaints usually came from an over-zealous salesman or someone working within the industry (but rarely associated themselves with a company). The argument was always the same; The words ‘mobile home’ conjured up negative opinions of the factory-built housing and by using the term I was contributing to the negativity. Never mind the dozens of gorgeous mobile homes on the pages of the blog that shows how gorgeous they could be. No one bothered to mention WHY the words mobile home conjured up negative opinions. In July 1976, a new federal law went into effect across the nation that regulated the construction and installation of ‘manufactured’ homes. HUD, the government department that oversees housing and urban development, had worked with the industry to come up with a minimum set of standards that all homes had to meet. The factory-built housing industry had basically run amok until those laws went into effect. Poor construction and terrible safety issues plagued mobile homes. Of course, there were a few companies that offered a superior home along with good customer service but there were far more companies that only cared about profit and their greed disgraced the reputation of the homes and the industry. banishing the usage of mobile homes and replacing it with ‘manufactured home’ was so important to the industry that they advocated to have the name change written into federal law. They somehow enticed a politician enough to sponsor a bill (or a section of a bill). 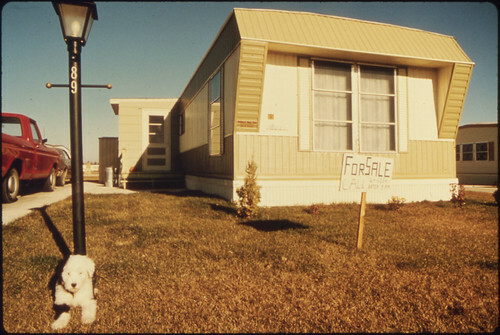 The Housing Act of 1980 states that mobile homes were to be reclassified on a federal level as buildings instead of vehicles and that all mobile homes produced after 1976 were to be referred to as manufactured homes. Literature printed or released by the federal government was only allowed to use the words manufactured home from that point. Unfortunately, this law changed very little because each state has their process and they weren’t willing to spend millions to have paperwork and departments retrained for a simple name change and reclassification. Most states still title mobile homes just like cars. Related: How the Mobile Home Stigma Began . You can see more of this beautiful manufactured home here. I tried to play along after about the 10th email. 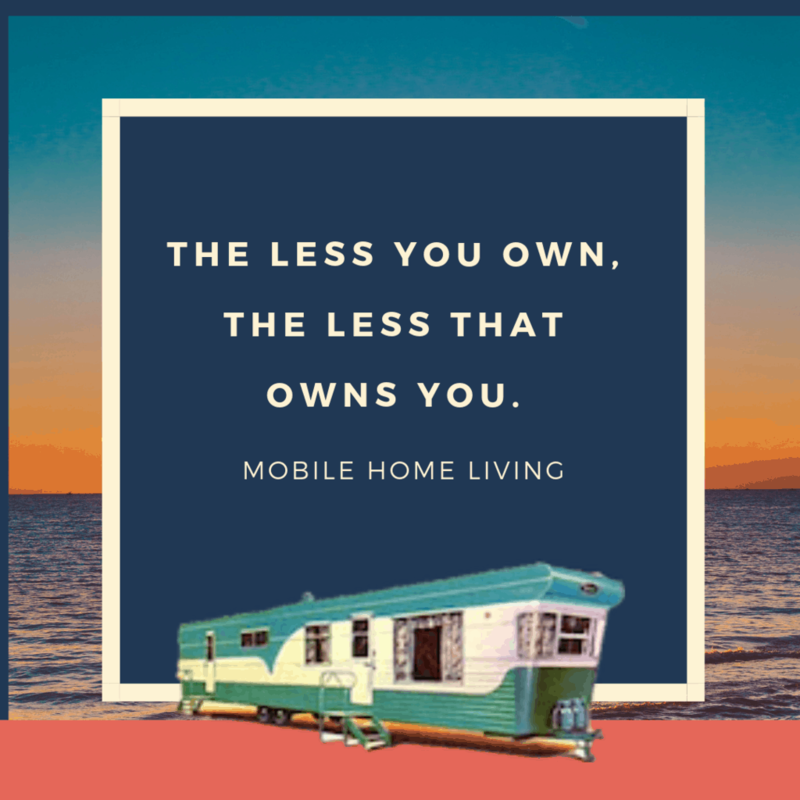 I changed the name of this blog from ‘Mobile Home Living’ to ‘Mobile and Manufactured Home Living.’ That lasted a couple of years until I realized I was still getting complaints and I was just complicating my life to try to make an entire industry happy. I do make an effort to use the term ‘mobile home’ when referring to a home built before July 1976 and ‘manufactured home’ for homes built after that date. Your site is very interesting. Great site! But….. you really need to drop the term “Mobile Home”. The reason is, it gives people the view that these are “Trailers” and not homes. HUD changed it in 1976 to Manufactured Homes. If we as owners of these homes want to change all the misconceptions about these homes, the term “Mobile Home” must be eliminated across the board. It gives inspectors, insurance companies, banks, home buyers, etc. a total misconception of what these homes have become. There is so much wrong information given to people by so called, “people in authority”, because they think these homes are “trailers”, and the term “Mobile” is part of the reason….along with those people not knowing or caring to know what is fact and what is a myth. We as owners, need to start changing the misconceptions that has plagued these homes for many years. It is time to get the truth out about these homes, and helping our selves at the same time… just my opinion. The Issue With All this Silly Name Changing…..
My issue with all this name changing is simple – you cannot change how people talk and you cannot change a product’s reputation by calling it a different name. The mobile home stereotype isn’t going anywhere until the industry changes itself. They need to stop worrying about everyone else and take a good look at themselves and how they contribute to the mobile home stereotype much more than a hillbilly from WV writing on a blog . If you look like a used car lot and you act like a used car lot, chances are, you’re going to do business like a used car lot, right? Right! I’ve used the term ‘mobile home’ my entire life and I’m not stopping now. The misconceptions of mobile homes are mostly true: some of the homes were junk, the buyers were preyed upon, families were sold homes they couldn’t afford. The industry needs to focus on improving themselves and offering the best product at the best price possible and stop worrying about a term used by the people living in them or buying them. One important step toward fixing the stereotype is to make better homes and have better customer service. What Can the Industry Do to Get Rid of the Mobile Home Stereotype? This multi-million dollar industry worries so much about what little bloggers are doing and what words are used in government literature but they haven’t changed the main things that keep the stereotype so alive and well. I think if the industry wants to disassociate themselves from the mobile home stereotype and stigma they should stop selling their products like used cars first and foremost. If they wanted to stop a stereotype about the homes being poorly built maybe they should stop selling poorly built homes? We only want to enjoy our homes and we don’t care about the mobile home stereotype. If you build a good home and create a good buying experience and stand behind your product, all 8 million or so owners living in mobile and manufactured homes across the nation will advertise for you better than any name change ever could. So, this is me, the founder of Mobile Home Living, saying that I love my home and everything it has afforded me. It has provided us a better life! With no house payment, I have been able to give my daughter experiences I never had and that is a wonderful feeling. I don’t care what you call it…I call it home. Thank you so much for reading Mobile Home Living. Hope you are doing well and fighting the good fight to improve our industry. Drop us a line sometime – we would love to share what we have done over at Braustin Mobile Homes and how we’ve used technology to streamline the process of buying a new mobile home while making it a more enjoyable experience. Thank you, Alberto! I’m always happy to hear dealers and realtors working to make the industry better. Hear, hear! I just love this article, and couldn’t agree with you more. Mine is 1985 Redman. Original is a doublewide with an add on of 400 SF along the S side of the home running lengthwise (front half is my sunroom and back half is my dressing room/makeup room). Then on the N side there’s a 500 SF room added on for storage and it has a sauna in it. 1950 SF living space total not including the storage room. The neighbors who knew the prior owners all said they’d never know it was the same home. It’s full paid for of course, no 30 year mortgage for this woman! Hrmmm… did it come in on wheels? Can it go out on wheels? Is it built by the lowest standards possible? It’s a trailer. Do the people let their dogs run around pooping in everyone else’s yard and not clean it up? Do you hear kids screaming at 7AM on Saturday? Does your neighbor have more furniture on his porch than in his house? It’s a trailer park! Now, I’m being tongue-in-cheek here, but not by much. Really, though, if people don’t like it, they can go read someone else’s blog, I always say. Great points! Parks are definitely a hit or miss but thankfully there are a lot more good ones than bad. Thanks for the chuckles! Where I am from ‘mobile home’ is used more formally, they are nearly always called ‘caravans’ even if they are on the same site and never move and then they are sometimes called a ‘static caravan’. Caravans are popular for staying in on an inexpensive family holiday on a holiday parks where there is usually some kind of entertainments or at least a pool. Some people live in the parks all year if it is open all year. A posher more expensive type of home is a park home. They cost a lot and are usually for better off older folk. I have stayed in caravans/mobile homes many times and really want one of my own. Had an extra titchy touring one I lived in as a teen. Now want a proper ‘mobile home’ or ‘caravan’ They are usually much smaller than American ones so I am looking on your brilliant site for some ideas for ‘single wides’, a term we do not use because they are all single wides! Thank you for your comment. I’ve read a lot about caravans in Europe. The designs over there are great and I hope the US builders will pick up a few tips from them. I’ve read about the caravan parks in France and seen some beautiful photos. I hope to visit one someday. Thanks for commenting. I would love to see and learn more about caravans and hope to hear from you again! I’ll be honest, repairing holes in older faux paneling is a pain and rarely comes out like you want it too. You could use a patch kit made for drywall but it will never blend in unless you paint the entire wall and even then it will probably be noticeable. My best recommendation (and cheapest) is to just add a board across the entire section and paint. Adding some trim around it (along with some waterproofing) will help make it look like it’s supposed to be there. Mobile home paneling simply wasn’t made for easy repair or updating. I support the new regulations that call us manufactured “homes” with safe regulations and no rentals in manufactured home parks that separates trailers with wheels from homes on foundations. It allowes the average person to feel to comfort of investing in an inexpensive “home” and be able to sell their “home” as real estate with a realtor. This is one of the last chances for average people who are locked out of housing market, to have a decent home to live in that keeps its value. The public still has a serious fobia about trailer trash in trailer parks. When you buck the new terminology, and call manufactured homes, trailers or mobile homes you encourage the “trailer trash” label for manufactured homes that hurt the average person, especially seniors,trying to maintain their dignity, and protect what little assets they have. Mobile home parks are not trailer parks. These new regulations and terms are here to protect us. From my point of view calling a manufactured home a mobile trailer is wrong. Can you see my point? – Had I called ASH ( Affordable mobile trailers for seniors ) Do you get it? You have great points, Mr. Starr and I respect them. I do try to use manufactured home when I feel it is needed or more beneficial to the reader. I feel the industry has much more important issues to focus on than the terms the general public uses. No one how cares what they are called, only that they are made well, financed fairly, and affordable. If you’re in a park and don’t own the land you cannot call it real estate. It’s real property. Thanks for the comment. I hope I’ve been clear on the difference. You are absolutely right, in every state I’m familiar with you cannot have a manufactured home classified as real estate unless you own the land the home is permanently installed on (unless you push for it or it’s misclassified). Another sticky issue is the classification of a permanently installed manufactured home – a lot of people think that the skirting used (cinder block, brick, etc) will automatically classify it as permanent. I only got one message from your post and that is your product is so terrible that you must cling to deceiving nomenclature to defend it. I am sorry you seem to think your products are white trash by a different name. I am glad you outed yourself and your company on a site like this so that we all can see you and your company for what it is. Most people won’t confess to the world how bad their products are but I give you kudos for your honesty. I guess it’s like that homeless guy who says if you give me money ill buy booze and you give him money for honesty all though I would never trust my elderly family to a company that so openly stated their inferiority but hey good on you for your honesty! Don’t feel bad, I still call them TRAILERS! My first was a 1961 8′ x 40′ Kit Coach located in Ithaca NY in Schwans TRAILER Park. Now I have a 14′ by 60′ in Florida on the water. Amen to you. I married my husband in 1979 he had worked for his farther since he was ten. He was an aluminum contractor. which meant he put up roof overs, screen rooms , vinly rooms ect. Fun fact he was the first person to design and put on rolled aluminum roofing. We got a letter from a jonhny come lately that we were to stop unsing their system. i mailed them years of work that we had done . never heard another word. could have stopped them we had no desire. But when we married, I was from ga all mobile home we called trailers and he stressed to me that that was an insult. a trailer was something you pulled behind your car. Now we live in a mobile home and i to am insulted if someone calles it a trailer. Thanks for your site. Right on! Don’t change the name, change the industry. Look at McDonald’s. Once known for fast service, good food, low prices, and smiling servers, now they make cheap products and raised prices that have the strength of a cockroach during Armageddon. We all know it’s junk and many won’t eat there because it’s junk… but take a year and create a better affordable product (one that preferably would be destroyed in nuclear explosion along with the rest of us), train your employees to smile, and your name will not need to be changed because your reputation would change. Thanks for these great articles. This is a great site. I live in a 1969 mobile home. I used to live in an upstairs boring apartment. I wouldn’t give up this mobile home for anything. Everyday I tell myself how much I love this place. I live the single life. I don’t like to do too much yard work because I live in Florida where its so hot. So I consider the small lot rent fee, a maintenance fee. I recently remodeled the home. This place may seem like a dirty trailer to some, but I am actually living my dream. It has 2 bedrooms, a 10×20 storage shed, and the best part is my sun room with screens where I can enjoy my coffee in the morning. Who needs the stress of maintaining a large piece of property? I dont. So glad you like it, Jennifer. It’s definitely a labor of love! We just purchased a manufactured home at the beach. I call it a trailer or a mobile home. No false pretenses here. It was delivered on wheels, so it was towed like a trailer and it was mobile! I know the stigma of living in a trailer/mobile home and I could care less. It’s our little oasis that’s our second home! Great attitude to have Vicki! I loved this article, and honestly I’m not sure which term is the best. For me, none them fit our family’s view of our mobile home, manufactured home…etc.. (maybe because it implies that’s not permanently placed) We love our wonderful Marlette. It has become our sanctuary, family gathering spot, compact garden headquarters, financial freedom, and more. It’s age is beyond ever moving, but we are so happy we wouldn’t want to move it. Now we just call it our “forever home” and that’s good enough for us. Great Article!!! My brother and I own a mobile home company in Texas and only refer to these homes as Mobile Homes. What most retailers don’t tell you is that their own sales reps are too embarrassed to tell their family members that they sell mobile homes so they instead fool themselves by telling everyone they sell “customer modular homes.”(Even though they will only sell 1 modular home in 5 years) I remember when I first was introduced to the industry and worked for a big name retailer and they banned their sales reps from saying mobile homes and would want us to argue with customers on the terminology for the homes, by citing those dates of name change. It all comes down to pride, if these sales reps would stop being so pretentious and instead would find a way to be proud that they are helping the hardest working, most amazing, blue collared customers this country has to offer, maybe then this industry would give these potential home buyers the respect they really deserve. Thank you so much for this comment. It’s an aspect I never considered. I tend to focus my opinions on ‘the industry’ as a whole and try not to pick on any one company or department so I never really thought to consider that it could pose a pride issue for the salespeople. Thank you for your insight! Any other insight you want to share I’d love to hear it (it would be awesome to get to interview an ‘insider’ – if you would be willing please email me at [email protected]. I bet your knowledge could help a lot of buyers). I am blown away by your comment Jason! I had just come to this blog for the first time, and this is the first entry and comment section which I had seen. You bet that we are the hardest working, amazing, blue collar (and proud of it) people you’d ever want to meet! My husband and I had a 1910 pier and beam on 5 acres we had owned for 22 years and raised all our kids in it. We had to sell and move 6 hours away due to job loss and major life changes in our 50’s. (Who the heck ever expected that to happen at 50 !!!) No mortgage company would touch us because our credit had gone in the trash due to these circumstances. When we got here and tried to start rebuilding our lives by buying another home, we were looked at as deadbeats by the mortgage lenders with stick houses because of our credit. So, we decided to look at mobile homes…yes I said it… mobile homes! The mobile home dealers were a different story. We were people to talk to and deal with; not to look down upon. (My 1910 pier and beam, ship-lap house was a mobile home too when they put it up on skids and moved it to my property from the land it sat on when we bought it!) For me, there’s nothing quite like watching your home being brought in, set down and having all the foundation work, inspections, etc to finish it up. It’s amazing! I am now getting a home on land and being treated as a human being. I can’t wait to see the mobile home we’ve bought set down and the next chapter of our life begun! And Crystal, I thank you so very much for your blog! You made my day! 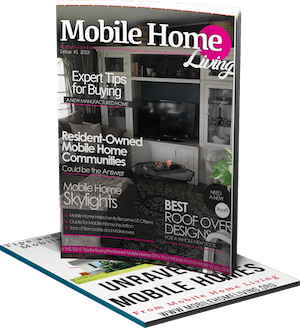 You are a voice to hear for all mobile home buyers! We need to keep our heads up despite anyone trying to shame us due to verbiage or because of preconceived notions. Best of all, you made me laugh and nod my head with your words! Keep up the good work! BTW, that statement – Awesome Adobes – should be on a T-shirt! I’d be rockin’ one! Aww! Thank you so much! I’m so glad you found us, your comment has absolutely made my day! Hope to hear from you lots more! It took me many years before I was comfortable with the term, “mobile home.” Before I finally made the switch, I called my home a “trailer.” “Mobile Home” just sounded too pretentious. Now I learn, for the first time, that some people frown on the name that I am using now. Well, I’ve changed once, but I won’t change again. However, I have learned something. I had thought that the term “manufactured homes” only applied to small manufactured houses, structures that no one would ever call a trailer Now I learn that some people would call my doublewide a manufactured home. Well, they can call it what they want, but I’ll never call it anything but mobile home, although I still sometimes still call it a trailer. I might add that I’ve had the same problem with my computer. I’m now using the term “default,” although it took me many years to do that in the computer sense. “Mouse” still rankles, but I grudgingly use it. There is other “computerese” that bothers me, but I can’t remember the terms right now. I just don’t like to be dragged into using terms that, to me, don’t fit into my knowledge of the English language. However, “Manufactured Homes, NEVER. 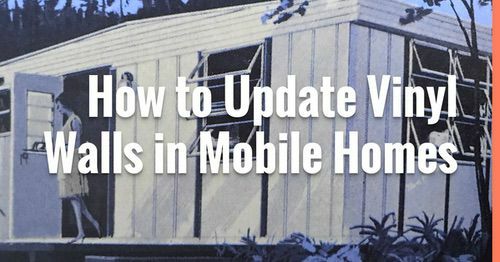 I just found your site this morning (when I’m supposed to be asleep, hahaha–I’m newly retired, and after more than 20 years of working the midnight shift, haven’t yet adjusted time-wise), and the first thing I’m going to say is GOOD FOR YOU for using the term “mobile home”! I’ve lived in four different mobiles over the years–now I live in a boarding house (won’t even try to explain that one), and I loved all but one of them, but the reason for that has to do with the monster-in-law who chose it for ex-husband and me, not the little house itself. I like mobiles, particularly single-wides, and would very much love to see the interiors of many more of them. I’m particularly fond of the homes/trailers built back in the 1950’s, especially those that are “two stories” high; how I’d love to see the interiors of those!! Thanks Viktor! I appreciate you taking the time to comment! You made my day! I bought my mobile home aka trailer in 1988 brand new for 14,500 and paid cash. I was injured at my job so I needed something that one day would be walker and wheel chair friendly. I finished raising my three children, and then my youngest son moved me to his land and here I live on six beautiful acres with only the land taxes that I insist I pay. I am blessed all my grown children live near so I am well taken care of at 66. I grew up in a house, but across the road was a trailer park, rows and rows of mobile homes, in the fifties and I just loved them. The insides were so tiny and the wood was real. I go on google now to look up vintage mobile homes because I want to see inside them, I would love to see inside a double decker mobile home, but most pictures do not show inside> sad. I will keep looking. one more thing, when I was little we went to the mobile home lots and looked a new homes on Sunday, a family outing. Thanks so much for the great comment! It’s great to hear that mobile homes are helping others live a simple and happy lifestyle. Thanks for reading MHL! Hope to hear from you again! I love my mobile home/trailer and I figure somebody manufactured it, so the term “manufactured home” is really pretty silly. Besides, once you’ve watched one of your newest neighbors repair and remodel his new digs, then get it in halves upon the truck to move across the Park, well, that’s a mobile home, all right. I’m also pretty quick on the keyboard to give the folks who have their own negative impressions of who lives in these homes my opinion of their opinion online! Some of us wouldn’t have the opportunity to own a place of our own but for these homes, and the parks they are in. There’s nothing quite like being queen of one’s own domain! Here in SE Georgia, most people (not dealers) call them ‘trailers’. No one gets offended. Who cares? It’s a name, it doesn’t change what it is: a lovely home that houses a family. Trailer? It is on a frame (metal), and is moved into place via wheels. It fits. Mobile home? Well, you could make it mobile. Hook up the axles and tires and pull that baby outta there! So that works, too. Let’s quit the fussing and just enjoy our ‘homes’, okay? Great article, Crystal. Keep up the great work. Where I’m from, most people still call them “trailers”. Places that sell manufactured homes more times than not have “mobile homes” after the name of the business. I think some of it has to do with location. In an area like where I’m from, they’re about as common as trees. No one gets offended if you call their home a trailer or mobile home. Actually, if you say “manufactured home”, they may ask you what it is…haha. I say: To each their own. I appreciate you taking the time to tell me that Courtney! Means a lot to me! So much for no mobile home manufacturer advertising on your site sure enough there was a banner advertising Clayton mobile um Manufactured homes! I pulled the site up and enjoy it being a former mobile home resident! I do not allow them to advertise directly through me but I have very little control if they buy through Google. Google controls all the ads that change with each page or refresh. That’s way over my head. My first house was a manufactured home: on a permanent foundation, hardi-plank exterior, shingle roof, and very well built. It was one of the best houses that I have ever lived in. Now, I have a 1972 double wide: metal siding, needs work, but cheap to live in and cheap to maintain. I love them both. I say the name trailer proudly. I could afford to pay cash for my house: no more sweating mortgage payments, large property taxes, or HOA dues-which stick built places all have!! I will take financial peace of mind over money worries-any day of the week!! Great to hear from you Sandra! Kudos to you for sticking with the mobile home term….it is tiresome as well as troublesome to have so much politically correct talk and pressure to name things only as “they” think is “right.” Keep speaking your truth…you do a beautiful job on this site and we still live in a free country with freedom of speech! We all know what you are talking about and your intentions are clear and honorable. and……………….by the way, your pic is beautiful!! My family owns and operates a “mobile home park” in Fl, around here everyone still goes buy mobile home…manufactured to US implies modular or no chassis type of home. we get a lot of peeps still saying “trailer” which annoys me, but, like you said, what are you gonna do? I LOVE your site! I love the older mid cent models and I love what people come up with when they live in “any year” home TODAY! SO thank you for standing your ground and filling a niche with this awesome blog!!! Thank you Kat! Love comments like yours – puts a bounce in my step 🙂 I would love to see your park, and maybe have some of your renovations on the site, the more the merrier! Ha! Those manufacturers built the “trailer/mobile home” reputation themselves. It’s on them to re-define their image not ours. I will admit to having let that stigma affect what I told people about where I live. Good for you Crystal. You got me to look inside my own pretentiousness [something I can’t stand in other people… oops] and come out of the closet as a “mobile home” owner. No debt and financially worry free. That’s a blessing, not a stigma. I could own an “air estate” condo and “own” nothing but the space between the walls and HOA fees forever to impress other people, but as my Dad used to ask: “How would that affect your bottom line?. Thank you so much Presey! So glad you found us! It’s coming back, the wheels have to be fixed to be more realistic (there were 3 in the back and one on the front). I had a couple of people bring it up – I never even noticed. Should be back within the week! So, how are the 2 x 6 floor joists 24″ apart on my 1984 “manufactured home” and 5/8″ particle board flooring an upgrade from the 50s, 60s, and very early 70s mobile homes? Industry people can fancy up the terminology all they want, but to this day they are still using inferior and undersized products. There is no excuse for short, skinny tubs, etc. And short exterior doors with 7 1/2 or 8 foot sidewalls. And why are 16 and 18 wides really 1 foot skinner? It can’t be because the roof overhang makes is be 16 or 18 feet wide; there is no overhang to speak of. If they want people to respect manufactured housing, they need to use “real” products when building and stop giving measurements that fall short. A closet that is the whole width of the room should not be considered part of the bedroom size. And quit saying the home is 4 feet longer than it is. The hitch is removed when the home is set up, and the public doesn’t give a darn about what the home movers have to report about how wide and long their load is. We don’t live in it while it’s being towed. Maybe when they stop saying a home is a certain size based on outdated towing restrictions, we’ll THINK about staring to use the cumbersome term “manufactured home”. Love every word!!! Thank you so much for writing this out! A few things. You ARE right that, even though standards are up in most ways, some homes are still built with subpar materials. You should know, though, that 2×6 floor joists is not unheard of in site-built homes, and is supplemented in strength by the steel chassis. I am really happy to have a 2006 single-wide that I bought used have 2×6 floor joists 16″ on center with 5/8″ plywood subfloors. As for the sidewalls, in my area 8′ walls/ceilings are incredibly common in small houses, and that just extends to manufactured/mobile homes. I do agree that the short sidewalls from homes that use cathedral-style ceilings is frustrating. Again, in that way I am lucky that my 2006 single-wide (bought for $21k) has 8′ sidewalls and standard 80″ exterior doors. As for the width, most homes, be it site-built or factory-built, measure the width by its exterior dimensions, rather than interior wall to interior wall. You usually have to account for the ~6″ walls. For example, my 16′ single-wide is 14’11” from wall to wall, but the walls around around 6″ each, making it 16′ wide. I haven’t heard of any company including the hitch while describing the length of a manufactured house. Not once. I’ve also never heard of any company including the closet in the bedroom size in my extensive research last year looking for a home to buy. In short, I understand your frustrations, but don’t share them, and wanted to give you some understanding of misconceptions or inaccuracies you have. Crystal, I could not agree more. 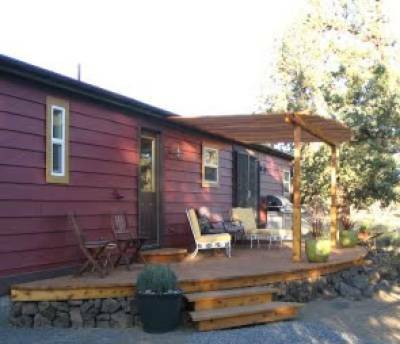 The term mobile home is as accurate as can be when referring to a single wide home. I do think that the term manufactured home probably fits multi section homes better. In any case, home is wherever you and your family reside. Whether it is called a trailer, mobile home or a manufactured home I’ll bet the house doesn’t mind what you call it. I came across this page while trying to find inspiration and motivation. I purchased a 1972 single wide mobile home that needs more than a little TLC. I have learned so much from these posts . Im just now starting to work on it so please keep the posts coming. Hi Tiffany! So glad you found MHL! Best of luck – you’ll have your new home beautiful in no time! I call my home a trailer, sometime a mobile, but never ever a manufactured home. I find no reason to distance myself from the trailer house as the industry does. To the salesperson that complain about what we call our homes. Answer this. 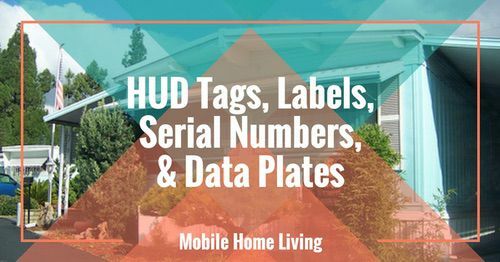 Why does the industry’s sites and signs only have homes in their names if we are to call them Manufactured Homes? If I don’t get an answer I’ll believe that they don’t like it either. To the emailer complaining about what I call my Home. of these home. Well, I would think that using the term trailer or mobile would do just that. Not every reader lives in a manufactured home. It is a fact that the trailers and the mobiles homes make wonderful homes. They are just as important as a manufactured homes. It is a fact that the inspectors, insurance companies and banks know the difference. It’s a fact that the 1976 HUD deal was more about the industry wanting a bigger piece of the housing market than how the trailers and mobiles were made. It’s a fact that the Industry and HUD took the mobility from my home without asking me. I have lived thru all the changes good or bad and I have followed all the rules whether I like them or not. I have earned the right to call my home what I want. The fact that Crystal takes time to do this web site for us and the people that shows us their wonderful home is the best way to show what these homes are and what they can be. The name is not going to make a difference. That is my opinion. LOL, when I was buying mine last year I said something to the owner about it being a “mobile home”…. she puffed up and corrected me, “It’s a manufactured home.” My friends, who also live here, and I laugh about it to this day…. as if it matters. I love my cute little house….. I’ve done so much to it a woman who lives in a manufactured home was in here the other night and she thought it was a stick built house…. when I get my $400.00 a year tax bill I’ll glad it’s not. You are the BEST “spokesperson” we have! Thank you Suzanne! I always love to hear from you! haha! Perfectly stated Carol. Thank you so much! We are looking to downsize and move to a +55 park from our big stickbuilt home. My husband objects violently when I call it a “trailer” in a “trailer park”. So, what do I call it? “Manufactured home” in a “community”? I laugh because my grandparents had an ocean front, million dollar “trailer” in a “trailer park” on the Orange County, CA coast when I was growing up. So, that terminology doesn’t bother me whatsoever. I personally don’t care what they are called. I love them! With the exception of about 3 of the last 17 years I have opted to live in a mobile home. And,I am guilty of calling my home a trailer,because,I don’tcare what anyone else thinks. I love living where I live! I enjoy reading your articles, the wife and I lived in a 14 X 80 that we bought new in 1976, it was a mobile then and if we still had it now, it would still be a mobile home. It was moved 100+ miles to the little city we were living in when it was new. A year later we moved it to a private lot we purchased. A year later we moved it another 100 miles to a different small city where my job took me. Eventually we sold the “mobile home” and bought an old house. We had to do some work on the “mobile home” in the later years, but sold it to a couple and moved several times. We still live in an older house, now in a different city. I still wish we had a “mobile home”. The wife, not so much. Now we are much older and could get by with a nice 18 x 80, she isn’t interested. The “mobile homes” built in the 70’s had their problems, but I am better equipped to work on a good one. This site had helped in a great many ways. Are this dishonest dealers and manufactures out there, sure there are, but you can get a dishonest home builder also. Just my 2 cents worth. Thanks again for your work and the pics. The work that has been done on some of the homes is really great. I live in a Trailer Park that was built in the 50’s. There are still some retirees here who live in their original “trailers”. And that’s what they call them. This park is also located in between a large distribution center (think E-Bay & Guess etc;) so there’s plenty of trucks going up and down the road in front of my home, pulling those big long t-r-a-i-l-e-r-s behind them. Our grass cutting guy also hauls his tractor around on a flatbed t-r-a-i-l-e-r. Therefore the term trailer doesn’t necessarily conjure up a vision of a home to me. 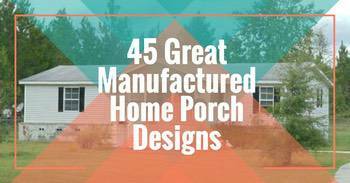 When I bought my new home in 2008, the sales people referred to it as a manufactured home. It has vinyl siding on it, a shingled roof, thermopane windows, and last year we had a large deck added on that probably couldn’t be moved even if we wanted to. But from what I’ve read, the majority of homes are not moved once they are put into place. People who visit me refer to it as “your house” or “your home”, but my husband grew up thinking all homes moved from one place to another are t-r-a-i-l-e-r-s, and he calls them that. Regardless of what anyone wants to call them, it’s just home to me. I’m a retiree who hopes to spend her final years here in this park. I do agree with you Crystal, most important is what we think of our homes–and not what someone else calls it.